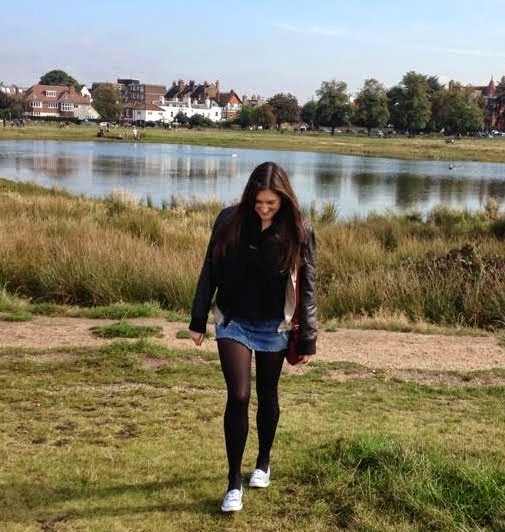 Another great little antipodean cafe in London, Brew is located in Wimbledon Village, a hop skip and a jump from The Common where people take long strolls on Sundays between breakfast and a roast, wearing hunter wellies and walking dogs of all shapes and sizes. Brew's decor feels clean, with white walls and wooden tables, while strange antlers, vases of flowers, a selection of books and colourful rugs on the wall create a homely atmosphere. It is busiest is at 11am on a Sunday, so be prepared to wait a little while for a table. But the front of the cafe has tables open to the elements, and if you ask nicely you can borrow warm blankets and furs to keep you cozy. As I walked in, families were enjoying a relaxed weekend get-together. A large vase of flowers adorned the table surrounded by a scattering of weekend newspapers and supplements. 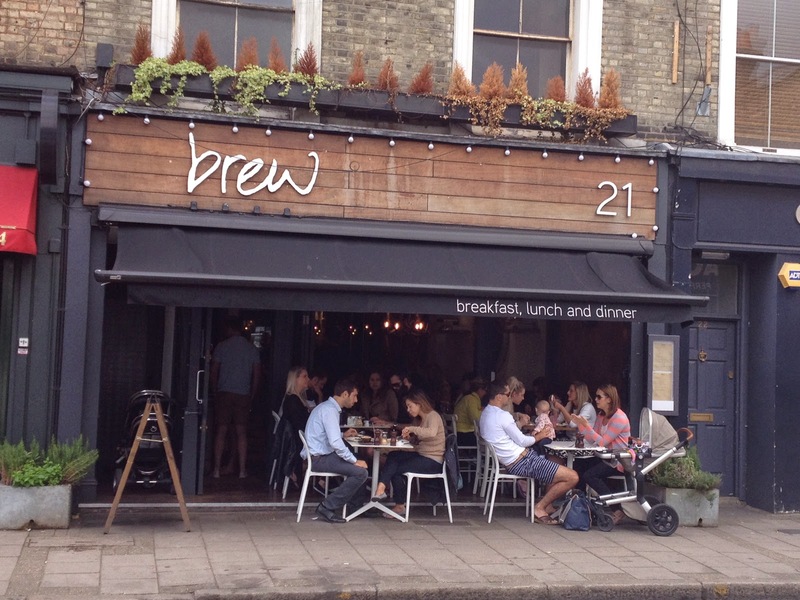 This gave Brew a lovely chilled vibe, even though it was busy, no one was rushed to finish their Sunday brunch. We started with an oreo milkshake served in a milk bottle and a chai latte while we perused the extensive menu. I decided on the Turkish Eggs - poached eggs, hung yoghurt and hot chilli butter with toasted pide (8.90), while my friend had Eggs Florentine (8.90). It was the first time I had come across Turkish Eggs - or Çılbır - and I was very excited to have found yet another great breakfast recipe. The thick hung natural yoghurt offset the spice from the chilli butter. It was a goey dish of creamy goodness with two poached eggs delicately sat on top - very satisfying to dunk pieces of oiled Turkish pide bread into.